The Motorola DS3478 Series of rugged, cordless scanners uses digital imaging technology to accurately capture direct part marks (DPM) and 1D and 2D bar codes. The series is available in three models. The DS3478-SF is ideal for scanning 1D and 2D bar codes. For high-density 2D matrix codes, choose the DS3478-HD. For DPM, select the DS3478-DP. Two-position "Smart" focus technology, unique to Motorola, provides the flexibility to meet scanning needs in a wide range of applications and environments. Omni-directional scanning, available on all models, lets operators quickly capture symbols from any angle. Offers cable-free convenience and reduces repairs due to cable failure. Increases productivity by enabling users to read high-density 2D matrix codes in addition to all industry-standard bar codes. Withstands multiple 6.5-ft (2 m) drops to concrete. Includes multiple confirmation modes for noisy environments. Allows a choice of two focus positions. Allows migration to future hosts and easy upgrading of hosts and cables. 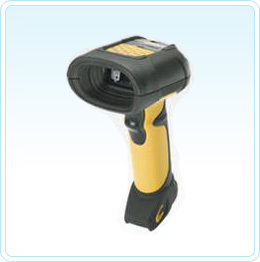 Scanner warranty The Symbol DS3478 Series is warranted against defects in workmanship and materials for a period of 3 years (36 months) from date of shipment, provided that the product remains unmodified and is operated under normal and proper conditions. See full guarantee for details.